itself in order to make the most accurate assessment possible. Without this information it comes down to looking at 2D images which is far from ideal. which looks printed and not hand drawn. 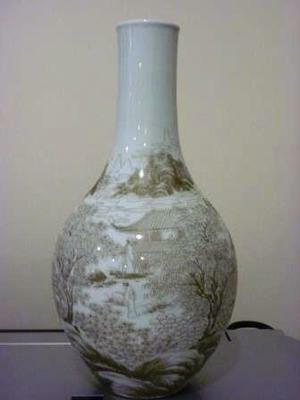 This is a real vase with an apocryphal Qianlong mark. 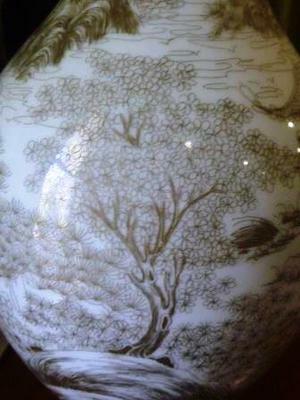 There are many Chinese objects with apocryphal marks honouring the skills of artisans past. This way of marking would not make an object a fake, unless it is sold as mark and period. These pictures would be insufficient to judge by the item itself. But the mark obviously is imitating a Qianlong imperial kiln mark. 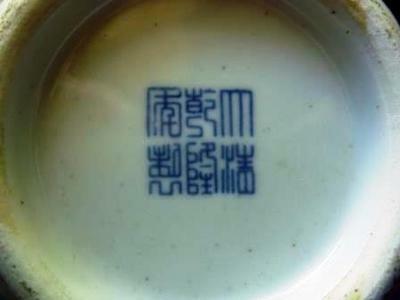 Many apocryphal Qianlong marks were used on later porcelain, for decoration only, but this one is looking "similar" to imperial marks. However, the foot rim is not of sufficient quality to be imperial. So I would think it is a fake.